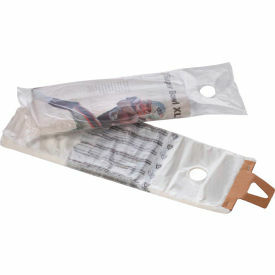 Newspaper Bags Protect Newspapers and Periodicals from the Elements During Delivery. Available in High Density (HDPE) or extra clear Low Density (LDPE), these bags protect papers, magazines and promotional materials from rain, snow, and dirt. Newspaper bags are mounted on cardboard header for rapid loading. Includes printed suffocation warning on each bag. Available lengths are 15", 16", 19", and 21". Widths are 5-1/2" to 9-12". Sold in package quantities of 2,000. 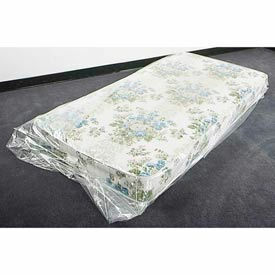 Mattress Bags on Rolls Protect Mattresses from Dirt, Stains and Moisture when Stored or for Moving. Mattress Bags on Rolls are made of super strong Low Density 1.1, 1.5, 3, and 4 MIL Polyethylene (LDPE) to provide protection for mattresses and box springs. Bags are vented for quick loading. Neatly wound on a 3" core with 1" diameter core plug with perforations between bags makes tear off easy and fast. Smart Tech Bags™ are engineered to provide 3 times the impact and twice the tensile strength of traditional low density polyethylene bags. Available for Single, Double, Twin, Full, Queen, King, X-Queen and X-King. size mattresses. Roll quantities and dimensions vary. 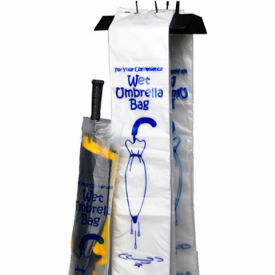 Umbrella Bags Provide a Place for Wet Umbrellas to Dry to Prevent Slippery Wet Floors and Entranceways. Umbrella Bags are proven, convenient and economical specialty packaging to help keep water off floors during rainy weather and reducing potentially dangerous and costly slips and falls. 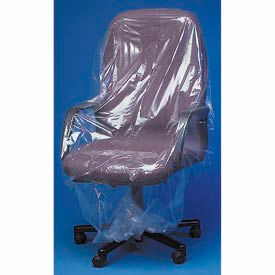 High density polyethylene bags fit a variety of umbrella lengths. Convenient header pack provides easy dispensing for user and easy replenishment. Header pack with four large holes accommodates many stand and hook designs. Bold graphic umbrella design and verbiage. Color is Clear. Lengths are 24", 31" , or 35". Width is 7". Mils are 0.7" or 3". Package quantities are 100 or 1,000.